The all new fourth generation CR-V debuted today at a press conference hosted by Honda Motor Co.
GCC and Near East in 3 different grades* –LX, EX and EX-Leather. expectation of a 5-seater compact SUV. since its launch in 2006. & EX-Leather grade) and bold fender flares emphasize the vehicle's dynamic presence and capability. Adding to the sleekness of exterior styling is the Shark fin antenna. Fabric upholstery is standard in the LX grade, while the EX has upgraded fabric with a suede-like feel. The EX-Leather grade has standard leather upholstery. Leather, and offers intuitive hands-free calling convenience. positioned high in the central part of the instrument panel within the driver's line of sight. and warnings such as door ajar and parking brake. control and EX and EX-Leather grades have automatic dual-zone controls. characteristics of the vehicle to enhance fuel efficiency. stored in the cargo area behind the second-row seats. max. power of 188 HP @ 7,000 rpm - up by 20 HP compared to the previous generation. And max. the negative impact on fuel economy inherent to virtually all four-wheel-drive systems. quality compared to the previous model. • Front hood with features to mitigate pedestrian injury in case of a frontal collision. • Front seats that help mitigate the severity of neck injuries in the event of a rear impact. braking, cornering or when the driver makes a sudden maneuver. • Brake Assist feature that helps shorten braking distance. • Advanced 4-Channel ABS with Electronic Brake Distribution. (or small-stature adult) leans into the side airbag deployment path. • Side airbags for front seats are available for EX-Leather grade. • Side curtain airbags with rollover sensor system, are available on EX-Leather grade. Pearl II, White Diamond Pearl and Urban Titanium Metallic. All grades of CR-V come with beige color interior as standard. The 2012 Honda CR-V is covered by a 3-year/100,000-km new-car limited warranty. Please check with your local dealer/ distributor for the available grade in your country. Tuned for your dream tour: The new 2012 BMW Bike collection. The 2012 BMW Mountain bike Enduro doesn’t make compromises – it makes you smile. BMW engineers gave the off-road bike an improved frame, and that’s another thing that makes BMW bikes special – the frame doesn’t use any mass-produced components; everything on it is developed in-house. Great handling and customisable settings give every climb and descent maximum comfort and superlative safety – proved by independent testing facilities that subject BMW bikes to tests that go way beyond the usual standards. A Crank Brothers wheel set gives the 2012 Enduro better stiffness and improved downhill characteristics. And all this is combined with an extraordinary design. Parts of the spokes are bright green, giving the bike a fabulous appearance, especially when it’s on the move. Green appears again on the saddle. The rest of the bike is metallic black to provide a striking contrast. Touring Bike; the versatile, sporty 2012 BMW Mountain bike Enduro; the fast moving BMW M Carbon Racer; and the Kidsbike for the littlest riders. All 2012 BMW Bikes and matching bike equipment are available at selected BMW dealers and on the internet at www.bmw-shop.com. completed as quickly as possible once authorized by the competition authorities. construction, and is one of the world’s most profitable motorcycle manufacturers. great potential for AUDI AG and the Volkswagen Group. The company was founded by Adriano and Marcello Ducati in Bologna in 1926.
radios. It ventured into the manufacture of motorcycles in 1949.
and in the Superbike World Championship, supporting competitive private teams. championships and the pilots’ 14 times. referring to the need for an effective infrastructure of schools and universities. UTI-Opportunities Fund declares tax-free dividend of 9% (Rs.0.90 per unit on face value of Rs.10/-). Pursuant to the payment of dividend, the NAV of the dividend option of the scheme would fall to the extent of payout. The record date for the dividend is April 19, 2012. All unitholders registered under the dividend option of UTI-Opportunities Fund as on the record date will be eligible for this dividend. Also investors who join the dividend option of the scheme on or before the cut off time of the record date will be eligible for the dividend. The NAV per unit as on April 13, 2012 was Rs.14.31 under the dividend option. UTI Opportunities Fund was launched in July 2005 as an open-ended equity scheme. The investment objective of the scheme is to generate capital appreciation and/or income distribution by investing in equity and equity related instruments. The main focus of the scheme is to capitalize on opportunities arising in the market by responding to the dynamically changing Indian economy by moving investments amongst different sectors as prevailing trends change. UTI Opportunities Fund predominantly invests in 4 to 5 sectors that are expected to outperform the broader market in short to medium term. UTI Mutual Fund is one of the largest mutual fund in India with investor accounts of more than 10 million under its 92 domestic schemes / plans as on March 31, 2012. Kozhikode, April 13, 2012: IIM Kozhikode today announced that, the institute is planning to set up a satellite campus at Kochi, primarily focusing on executive education. 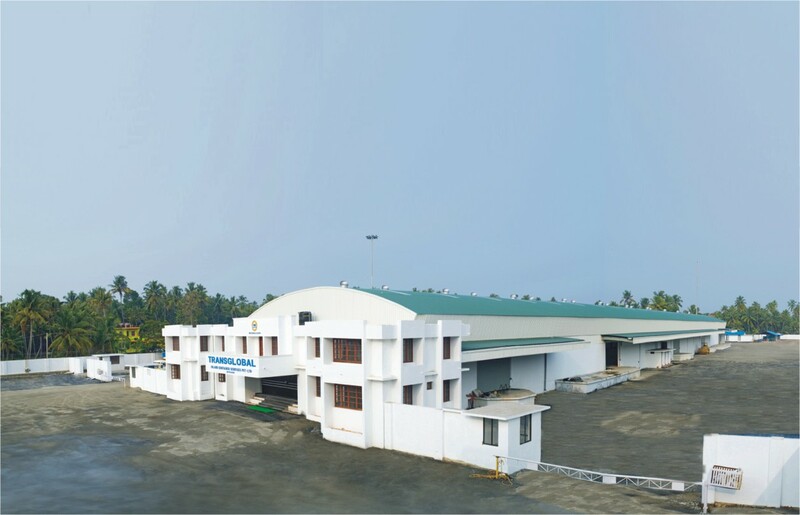 As the only IIM in the country having an internationally accredited Executive Management Education Program, the proposed campus at Kochi intends to expand offerings of the Institute in this space by starting full time and part time programs targeted at middle and senior level executives. The satellite campus will be initially housed within Infopark and will focus primarily on executive education – both long term and short term as well as specialized courses for executives of IT sector. Initially, the Satellite centre will be offering one year executive MBA program as well as two year part time programs in addition to a large number of short duration Management Development Programs. By positioning its Satellite campus focusing on Executive Education in Kochi, IIM Kozhikode is planning to support the growth and development of business and industry in the region. As the Campus will be located inside the Info-park Kochi, it will directly help the executives at the park to hone their management skills thereby enhancing the competitiveness of Indian IT sector and boost the IT sector growth of the State. In addition to offering executive training and education programs, the Satellite Campus of IIM Kozhikode at Kochi will also support IIMK’s mission of inclusive education as Institute is planning to incubate a finishing school to offer specialized programmes for people belonging to marginalized sections of the society. This will be done with a view to enhance their skills to enable them to be a part of Indian growth story. However, this will be taken up once the full fledged campus is functional at Kochi.